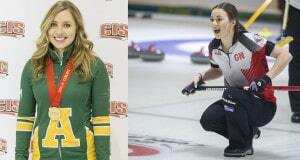 Nova Scotia’s Emily Dwyer has spent the last three years adding title after title to a growing list of impressive curling accomplishments. 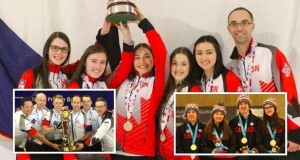 It’s no wonder her team won the Nova Scotia Curling Association’s 2011 “Team of the Year” honours, considering the number of championship events this young skip has reeled in since 2009: High School MVP in 2009 and 2010; Under-18 Provincial Champion in both 2010 and 2011; Optimist Silver Medalist in 2010 and 2011; Youthspiel Provincial Champion 2011; Atlantics Championship Silver Medalist in 2011. 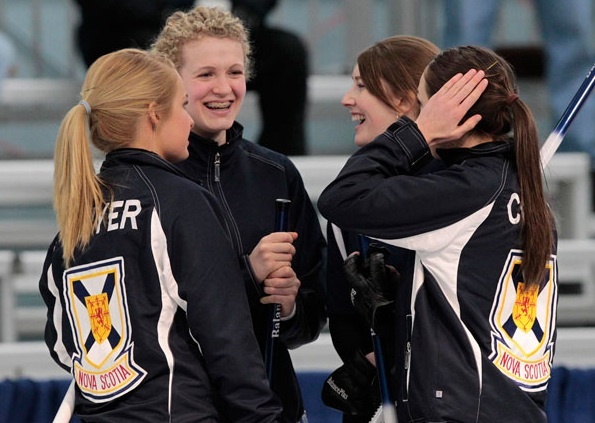 And then there’s the 2011 Canada Winter Games, where Emily and her team represented Nova Scotia in Halifax, carving out a fourth-place finish. 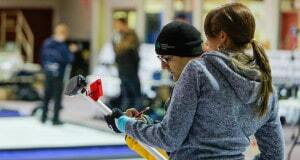 Emily was introduced to curling by her dad at the Lakeshore Curling Club, five minutes from her home in Lower Sackville, N.S., and it wasn’t long before a coach spotted her potential and guided her towards competitive play, which she began at age 14. 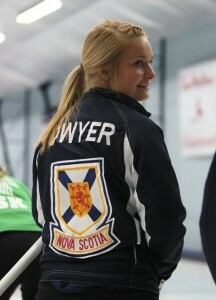 For Emily, who currently curls out of the Mayflower Curling Club in Halifax, team is everything. They’ve been together for four years, coached (for the last three years) by Marc Brophy, who Emily credits with much of the team’s success. “I give him credit for taking us a long way from where we first started. We all really look up to him,” she says. Now a first-year Public Relations student at Mount Saint Vincent University in Halifax, Emily knows the secret to building on her team’s already impressive success. Favourite pastime between draws at spiels?